Ever since "Time Out Of Mind" was released, I believed "NOT DARK YET" is the best song Bob Dylan has recorded since 1981. I could not listen enough to this studio performance and it still is my favorite song on this great album, followed by "TRYING TO GET TO HEAVEN", "HIGHLANDS" and "STANDING IN THE DOORWAY". Bob did perform "NOT DARK YET" on stage only five times before he changed his concert layout in April 1999. Numerous live performances in 1999 and early 2000 (two of which I had witnessed in 1999 in Zurich and Munich) and quite a few reviews and recordings of some of these performances had confirmed my view, that this song is something very special, both for Bob and his audiences. From May until September 2000 the song had taken a rest (not being among the 83 songs performed in June/July of that year) and it had never been performed in the English speaking part of Europe, when Bob pulled it out in Aberdeen, where most everybody was expecting "HIGHLANDS". This Aberdeen performance and the one in Sheffield six days later were my third and fourth time to have witnessed it. Two more appereances had "NOT DARK YET" on the European mainland in September 2000, before in the fall 2000 Bob did perform "NOT DARK YET" three more times in the US. In 2001 it was performed in the last Japanese show at Budokan, Tokyo on March 14th. It was the sixth time (in six different countries), that "NOT DARK YET" appeared on the same setlist as "TRYING TO GET TO HEAVEN". The second appearance of "NOT DARK YET" in 2001 was in Knoxville on April 27th, two days after Bob's first performance of "IN THE GARDEN" in almost five years. The third 2001 performance of "NOT DARK YET" was again in Scotland, this time among other gems at Stirling Castle. The fourth appearance in 2001 was in Pescara, Italy. This one has to be heard to be believed. I hear it often, and still hardly believe it. The fifth 2001 appearance was more than four months later, in Portland, Maine, where "NOT DARK YET" was performed as the second electric song in a show, which had started with "HALLELUJAH I'M READY TO GO", and already included "THIS WORLD CAN'T STAND LONG". The first performance of "NOT DARK YET" in 2002 was in Leipzig in April. [About 7-8 hours earlier this website NOT DARK YET had been listed on the links page of bobdylan.com.] The second appearance of 2002 was in Zurich, where he performed "NOT DARK YET" for the third time within three years in the same venue. Nine days after that "NOT DARK YET" was performed in Paris, and another five days later "NOT DARK YET" appeared again in Britain, being a high point of a very fine show in Bournemouth, which also featured a very momorable "A HARD RAIN'S A-GONNA FALL", and which I had the pleasure to attend. It probably was the first version of "NOT DARK YET" starting with a harp solo. A truly majestic performance of this great song. In August 2002, in Edmonton, Alberta, "NOT DARK YET" had its second Canadian appearance ever; and four days later it was performed in Colorado. After that "NOT DARK YET" was not performed at all for nineteen months, inluding all of 2003. In 2004 however "NOT DARK YET" had its first appearance in Philadelphia, wonderfully performed for the first time with Bob on his piano. I must say Dylan put a lot of himself into that particular performance. Let me quote two reviewers of that night; one attendee was describing the song as "Bob at his finest – brilliant, poignant, touching. Awe inspiring stuff." And another commented: "Another highlight and surprise for me. Bob sung this one from way way way down within. It seemed as if he sang this one right into my eyes. I almost melted. These lyrics are devastating yet utterly beautiful. I was feeling them more than ever hearing them live." Only three days later, in Washington, "NOT DARK YET" appeared again; and one week after that, in Asheville, "NOT DARK YET" was performed for the first time ever in the same show as "I BELIEVE IN YOU". Four days later "NOT DARK YET" was performed during the second of three shows in Atlanta. In June 2004 "NOT DARK YET" appeared in Wilmington, where according to one reviewer "Dylan gave it a very passionate vocal reading ... and ended the song with a tender harmonica solo". During the European tour in June 2004 "NOT DARK YET" was performed at first at the Fleadh Festival in London. One week later, in Galway, Ireland, I had the extraordinary pleasure to witness Bob's first performance of "NOT DARK YET" on the Emerald Isle. It appeared in the same set as "GOD KNOWS", the other lyrical peak of the evening. This version was delivered with care by its writer, and its last verse was even preceded by some fine harp. It was only the second time ever (the first one was in November 2000) that "GOD KNOWS" and "NOT DARK YET" were performed in one concert, and both times they were separated by only one song in between. Almost two weeks after Galway, "NOT DARK YET" was performed at the south coast of Spain, in Motril, once more (as numerous times before over the years) in the same set as "A HARD RAIN'S A-GONNA FALL". Exactly one month later, back in the US, "NOT DARK YET" appeared in Fishkill, New York. During the fall tour of 2004, in De Kalb, Illinois, Bob Dylan chose to include "NOT DARK YET" once more in the same set as "GOD KNOWS" (as he had done in Galway). Two weeks later, in Binghampton, New York, "NOT DARK YET" appeared again together with "GOD KNOWS", and this time also together with "I SHALL BE RELEASED" and "PO' BOY". 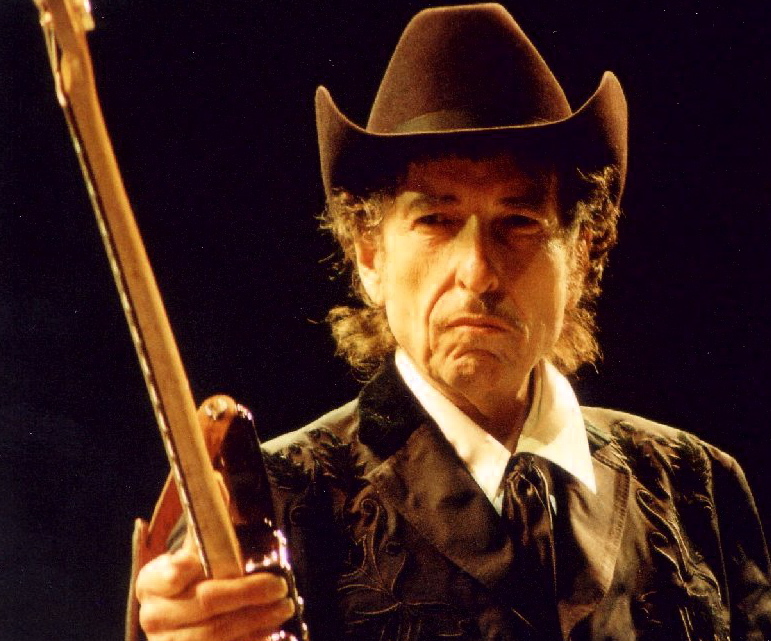 The first performance of "NOT DARK YET" in 2005 was in New York City, during the penultimate show of Bob Dylan's spring tour, which included 94 different songs. During the May to July stadium tour of 2005, "NOT DARK YET" appeared only once as well, in June, during the show in Little Falls, New Jersey. Toward the end of July "NOT DARK YET" was performed in Goldendale, Washington, in the penultimate show before a two and a half months touring break, which was followed by the European tour of 2005 (during which "NOT DARK YET" was not performed at all, nor was it performed during the spring tour of 2006 or during the European summer tour of 2006). However almost thirteen months after the last apperance in 2005, a few days before the release of 'Modern Times', "NOT DARK YET" reappeared again, during the US summer tour, in Reading, Pennsylvania (during a show which had started with "CAT'S IN THE WELL"), every line carefully phrased, and ending with a fine harp solo. Eight days later "NOT DARK YET" was performed once more, in Wappingers Falls, New York. After this "NOT DARK YET" did not appear for almost 17 months, before in August 2008 Dylan chose to perform it in Indiana [mp3 below]. One week later "NOT DARK YET" appeared in Utah. And in November it was performed once more in Kanata, Ontario, Canada (in the same set as "I BELIEVE IN YOU", "EVERY GRAIN OF SAND", and "BLIND WILLIE MCTELL"). The first appearance of "NOT DARK YET" in 2009 was in Stateline Nevada in August during the last show of Dylan's minor league baseball stadium summer tour [mp3 below]. The second performance of "NOT DARK YET" in 2009 was on October 4th, in Seattle, during the first show of Dylan's fall tour, which had started with the first appearance of "GONNA CHANGE MY WAY OF THINKING" since February 1980 and the second performance of "SHOOTING STAR" in 2009. Eleven days later it appeared in the third Los Angeles show, again in the same set as "GONNA CHANGE MY WAY OF THINKING". Ten days after that, on a Sunday in Missouri, "NOT DARK YET" was performed again, in the same show as "TRYING TO GET TO HEAVEN", which did not happen since March 2001. Three weeks later, during the last Sunday show of the year, which was the last of the three concerts in Boston, both "NOT DARK YET" and "TRYING TO GET TO HEAVEN" were performed once more in the same set. The first two appearances of "NOT DARK YET" in 2010 were in March in Japan, one of which was again in the same show as "TRYIN' TO GET TO HEAVEN". During the European tour of 2010 "NOT DARK YET" was performed four times, in Serbia, in Austria, in Italy, and in France. In the US "NOT DARK YET" appeared only once during the summer tour, in Stateline, Nevada, where it also had been performed in August 2009; but in the fall "NOT DARK YET" was performed six times in the US. In April 2011 Dylan chose to perform "NOT DARK YET" during his second show in Melbourne, Australia; and in October 2011 "NOT DARK YET" appeared at first in Nottingham, England, five days later in Lille, France, three days after that in Antwerp, Belgium, and at the last day of the month in Hamburg, Germany, which was the first performance of this gem in Germany in more than nine and a half years. Six days later already, in Hannover, was the next German appaerance of "NOT DARK YET"; and ten days after that it was performed in Zurich, Switzerland. In April and May of 2012 Bob Dylan chose to perform "NOT DARK YET" four times during his Latin America tour. During the European tour of 2012 it did not appear at all, and during the North American summer tour of 2012 it was performed only once, during the penultimate concert. I do believe that Dylan conveys an important part of his belief in the last line of each verse: "It's not dark yet, but it's getting there." There will be definitely an end to this "world full of lies" and until then there is little time left, for already the "shadows are falling". Jesus spoke to them, saying, "I am the light of the world. Whoever follows me will not walk in darkness, but will have the light of life." Jesus said to them, "The light is among you for a little while longer. Walk while you have the light, lest darkness overtake you. The one who walks in the darkness does not know where he is going. While you have the light, believe in the light, that you may become sons of light."